An engagement shoot is really beneficial to both your photographer and yourselves as a couple. Many of my couples go in to a portrait session thinking it’s going to be the most awkward hour of their life and don’t really know what to expect from it. I always say that it’s the first two pictures that are the most awkward and sure enough, it’s soon as if they have forgotten the camera is even there. When you book your wedding with Hannah Sharpe Photography, I will always include an engagement shoot in with your pre-wedding meeting. Most often, I will meet you at a place which is significant; perhaps it’s where you met or even where you got engaged. We will grab a coffee and have a good chat about your wedding and ideas for your day. After this we can head on over to a location and take some quick pictures. I’m not about stiff, unnatural poses so will never pose you or shout instructions at you - if you really would like some pointers I will of course tell you what sometimes works. A week later, I will send over your photographs and they’re yours to do what you like with them…print them out and put them all over your walls, send them as (easy yet thoughtful) gifts to your parents or use them on your wedding invitations! 1) Get to know your photographer (and vice versa!) This is the perfect chance for us to figure out what works best and so you don’t feel like there’s a stranger at your wedding! Compared to every other supplier and even your guests, your photographer will be one of the people on your day that you spend most of your time with. This is why, for me, it’s so important that we are well suited to working together. 2) Feel relaxed being in front of a camera. As I hope you can tell from looking at my work, I have a very natural, unobtrusive approach. I’m always running around in the background capturing everything as it happens instead of creating or setting up a shot - this is about you and your day. 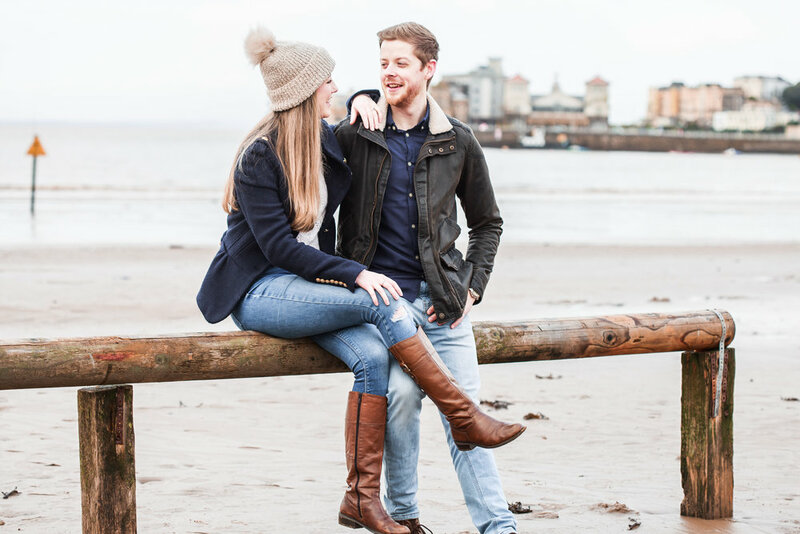 The engagement shoot therefore will be the most direct aspect of your wedding photography and this will really give you a chance to feel comfortable. 4) It’s a chance to capture the time that you’re engaged - because this is something to be celebrated! I know that for many brides, it can seem like your wedding date comes along with loads of deadlines to get things done. Setting aside some time with your fiancé and your photographer can be a good way to capture this special time in your relationship without worrying about booking suppliers/appointments etc. © 2019 Hannah Sharpe Photography Ltd.